Nancy Denslow’s primary research focus has been developing molecular tools for evaluating fish exposed to environmental contaminants. Her research uses aquatic species and focuses on identifying mechanisms by which environmental contaminants, including pharmaceuticals, pesticides and engineered nanomaterials affect fish health. Coming from a strong background in Molecular Biology and Biochemistry, she has adapted novel methodologies to the study of environmental toxicology, such as using gene expression analyses and proteomics and developing novel biomarkers. Her research focuses on understanding the molecular mechanisms by which contaminants impair the health of aquatic organisms with the intent of extrapolating these results to human health. As part of her research effort, Denslow has developed commercial products including several monoclonal antibodies that are specific for the appearance of egg yolk protein in the blood of fish after exposure to estrogen or to estrogen mimics. These antibodies were licensed and are now commercial products. She was a pioneer in developing microarrays for aquatic species that can be used to measure contaminant insult via a “systems biology” approach, looking at the effects in the whole organism. This knowledge has already provided real insights into contaminant insult and will be used to develop effective prevention and treatment of diseases which are caused by exposure to environmental agents. 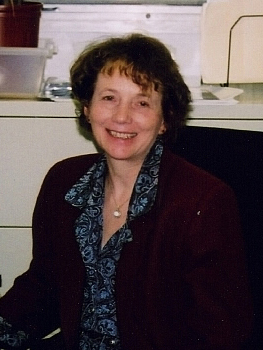 Denslow embraces collaboration and has been a partner in many research efforts in which she has used her biochemistry and molecular biology skills to obtain answers to critical research questions. The projects in this arena include assessing the toxic effects of exposure to nanomaterials and development of biomarkers to assess traumatic brain injury. Denslow has been an associate editor of Comparative Biochemistry and Physiology since 2005, Environmental Bioindicators since 2006, and is now an associate editor for Ecotoxicology and Environmental Safety. She also serves as an ad hoc reviewer for grant proposals from the National Science Foundation, Natural Environment Research Council, UK, Natural Center for Environmental Research, Canada, and Sea Grant, among other agencies. Denslow also served on the executive board of the Association of Biomolecular Resource Facilities.